Editor's Note: The functionality described in this blog post has been replaced by Heroku Button. The Heroku Elements marketplace now lists hundreds of template apps that can be easily deployed. Check out Heroku Elements to find an app to deploy. Learning a new language or framework can be both fun and rewarding. But tutorials only get you so far: one of the easiest ways to get started is by copying an existing sample app. Today we're introducing template-based app creation for Java on Heroku. 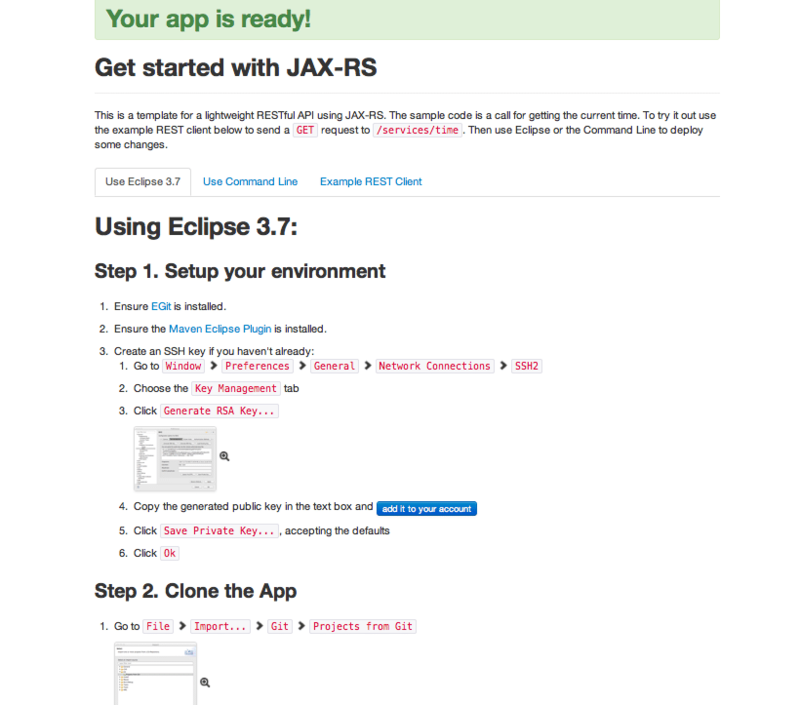 To try it out, go to www.heroku.com/java and click Create App on one of the four templates at the bottom of the page. In seconds, you'll have your own copy of the app deployed and running on Heroku. You can then clone the app and start editing it in Eclipse or other development environment. We've put together four Java app templates that represent the most popular and most exciting ways to build Java apps today. But Heroku is not limited to these frameworks. Heroku runs 100% open-standards Java, so you can run any Java application and use any framework. You can even use no framework at all, such as running stand-alone Java processes that are not web applications. 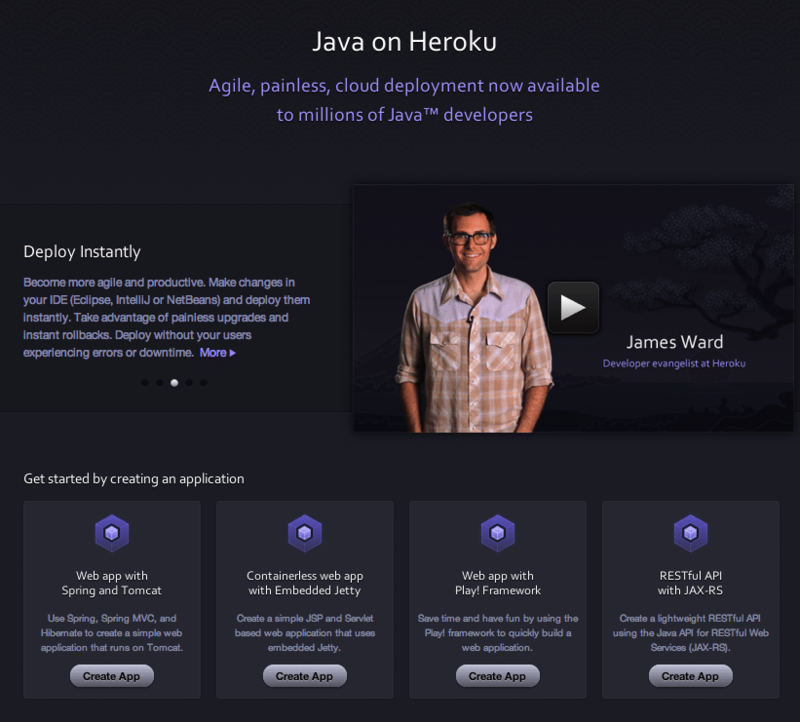 Deploy your first Java template app on Heroku today!